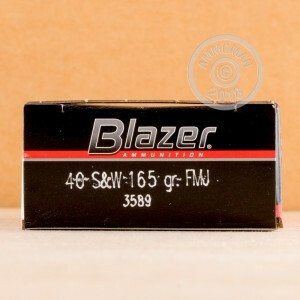 You'll get all the practice you need without paying a fortune with this case of 40 S&W CCI Blazer ammunition! 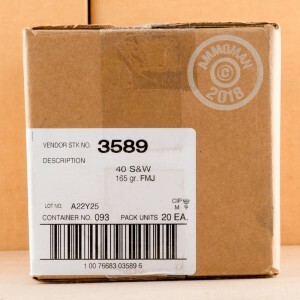 This ammo is manufactured in the United States and is great for target shooting, plinking, or any range training. It features a 165 grain full metal jacket bullet, which will strike your target with accuracy and consistency. 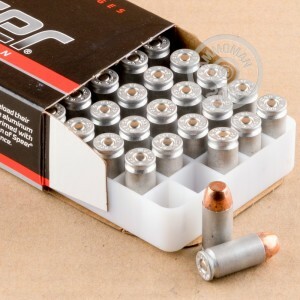 Each round has a Boxer-primer and aircraft-grade aluminum that is heat-treated to make an economical cartridge case. They are non-corrosive, and cannot be reloaded. CCI Blazer ammunition is a great option for people who like to shoot a lot, but don't like spending a bunch of money in the process. Not only do you get a dependable, accurate round from CCI, you also save money per round when you purchase in bulk. This order also qualifies for free shipping! Purchase your 1000 rounds today and head to the range!